Mother Jessie Pearl Wells Phelps Service Details - Greenville, South Carolina | Watkins Garrett & Woods Mortuary Inc. Mother Jessie Pearl Wells Phelps, 94, of Simpsonville, passed on Sunday, October 21, 2018 at her home. She was the daughter of the late Willie Wells and Mary Grant Wells. 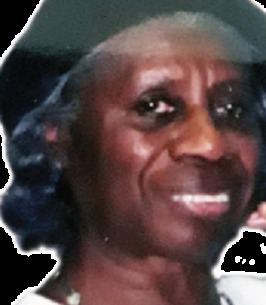 Surviving: Elder Sandra Alfreda (Charles) Coleman of Simpsonville; one son, Willie Calvin Phelps of Greenville; fourteen grandchildren; twenty-five great-grandchildren; thirteen great-great-grandchildren; and a host of other relatives and friends. We encourage you to share any memorable photos or stories about Mother Jessie Pearl Wells. All tributes placed on and purchased through this memorial website will remain on in perpetuity for future generations. I am sorry for the loss of your love one, Mr. Jessie Phelps. Expressing my heartfelt condolences to the family. May the God of all comfort sustain each one of you during your time of grief. 2 Corinthians 1:3,4.